Imatec Digital Co., Ltd. (Short of "Imatec") is a professional Solution Provider dedicated to the Large Format Printing industry for imaging photographics. 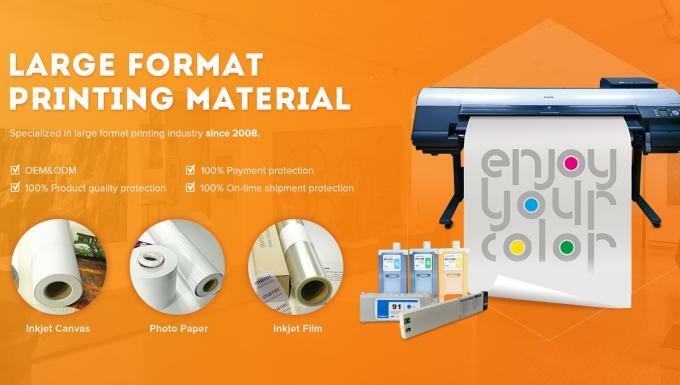 Imatec, since its establishment in 2008, has been specializing in large format printing solutions, covering supplies of Inkjet media, Inks solution, Sublimation transfer, Inkjet film (incl. Medical film), and technical supports, which are serving wide format printers of Canon imagePROGRAF, EPSON Stylus Pro & SureColor, HP Designjet & Scitex, Roland, Mimaki, and Mutoh. With years' development, Imatec has extensively introduced advanced technology and management to the production for the superior quality and customized services. As always, Imatec serves the markets with high-end standards requirements, with reliable quality and competitive costs. As a professional integrated Solution provider, Imatec's services has covered various fields, Digital printing, Photographics arts, Photo reproduction, Advertising display, CAD drawing, Screen production, Textile printing, Sublimation transfer etc. Now Imatec has become one of the most influential international players in this field. We will be always on your side by providing total printing solutions as a world-class leading company in wide format printing industry. 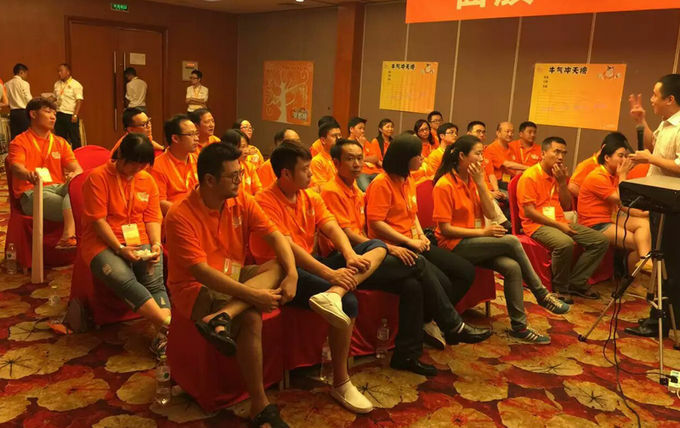 Over the past years' rapid deveopment, Imatec Digital Co., Ltd. has imporved from a single inkjet media manufactuer to a professional & mature wide format printing solution provider, with engaged in supplying integrated Solutions in large format printing industry. 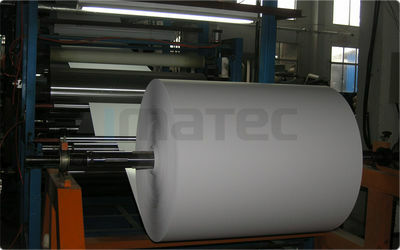 » In 2008, Imatec Digital Co., Ltd. established, and invested the first inkjet paper producing line, which was one of the most advanced lines in China. » In 2009, Imatec newly increased 3 more production lines. » In 2010, Imatec started on large format printing supplies, and brought wide format Inks/Cartridges into our portfolio. » In 2011, Imatec formally formed "large format printing solution" station, starting to focus on the concept of "Integrated Solutions" to share with our partners. » In 2012, Joined Drupa 2012, our products and printing solutions were widely accepted by clients from global. » In 2013, Imatec invested and participated the inks factory with formal agreement. » In 2014, Early this year, we become the senior signed dealer of Canon/Hp in China. » In 2015, Imatec introduced advanced equipments for production efficiency requirement. 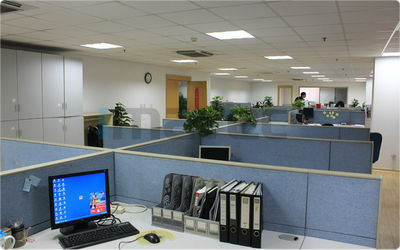 Now, Imatec Digital Co., Ltd. has much strengthened the supply ability and service quality. 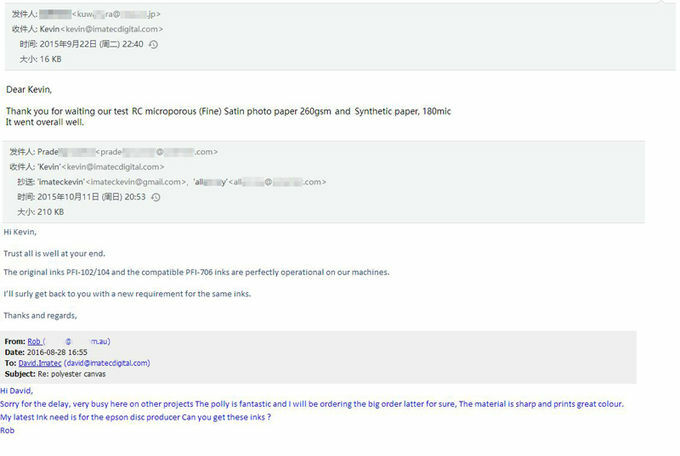 We have become an important player in the filed of large format printing Solutions. 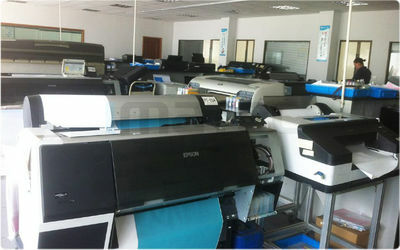 Meanwhile, we are keep improving ourselves to keep pace with the latest printing technology. 1, We are an integrated solution provider, which can meet all clients OEM demands, and also can save clients purchase cost for mass producing. 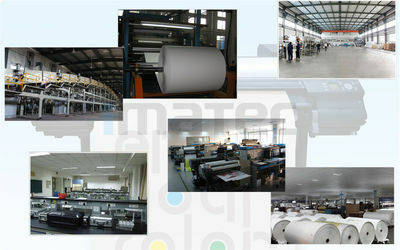 2, We have been engaged in wide format printing industry since 2008 with abundant experience to share with you. 3, Most of our raw materials are imported from US, Germany, Japan in order to guarantee quality fundamentally. We can promise our quality as we said "top best"
4, We have complete quality control system, from the raw materials, producing, testing and packing, make sure all products in clients hands with zero defect. Our Technical engineers are full of experience and all of them engage in printing industy for more than 8 years. Besides, they are keeping on innovations for the new products to meet market update demands. Our working and sales team can guarantee a fast and efficiency after sales service for any questions you meet with our products. We keep every clients' order with retained samples for 6-8 months, which can guarantee all issues clients mentioned can be solved. Express Delivery, We are signed partners with DHL, FEDEX, TNT, which can mostly save express cost and Short shipping time. Thanks to premium quality and service, our products have been widely applaused by partners. Welcome to choose Imatec Digital company as your relaible partnership! 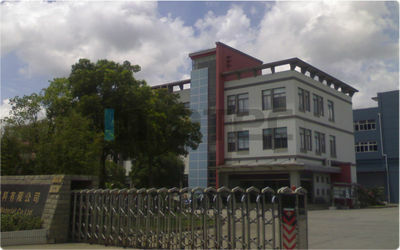 Imatec Digital Company is a Chinese demostic factory and supplier for kinds of inkjet medias and inkjet inks, and we are also a customer oriented company. All our team is focus customer demands and their satisfaction, thus we continuously enhance our self ability of "Technical" and " Service". 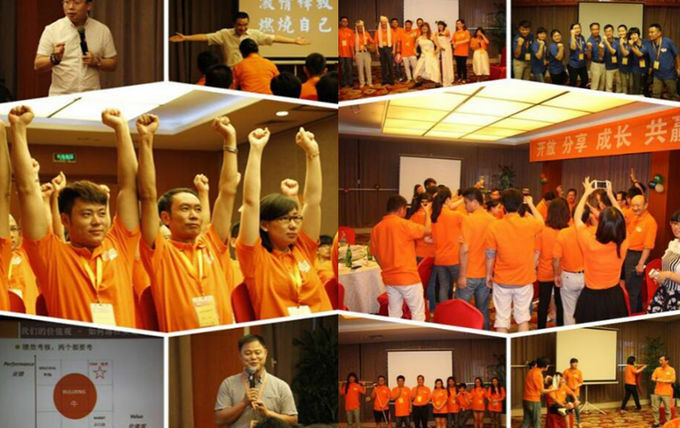 We are now in team traing, it aims for team works and enhance the strength of the team union. 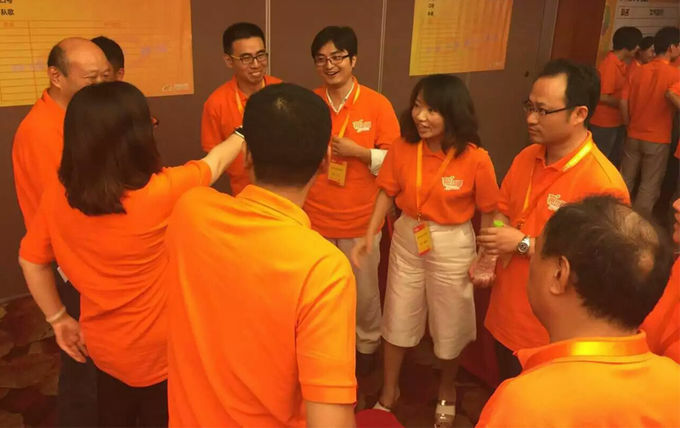 We are now in team teaching, it's mainly for improve our team comprehensive quality.